The act was organized by the Indian Association for Palliative Care. As inevitable as it might be, sickness and death is never easy to talk about. Let alone crack jokes over. 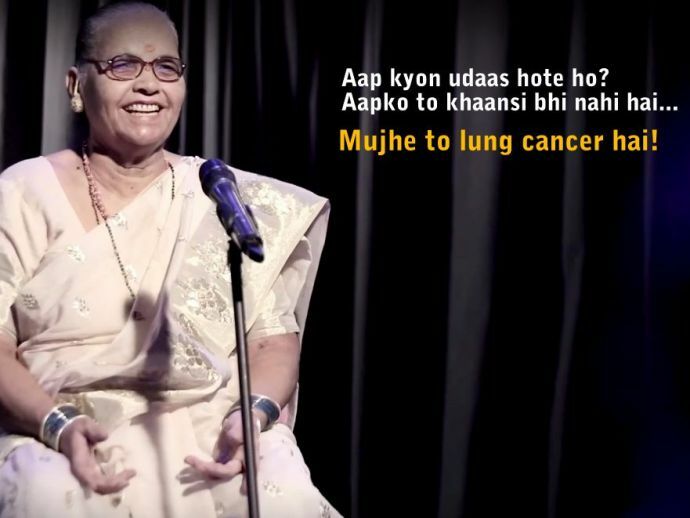 But in a refreshingly different initiative, the Indian Association of Palliative Care made a video featuring some terminally ill patients who performed standup comedy for their families and doctors. Their jokes take a dig at disease and death, and are centered around the idea that one need not take life (and the end of it) all that seriously. This might hurt just a little bit, okay, a fair bit- but if these people can summon the strength to laugh about their pain, then the least we can do is be accepting of it.